I’ve always been envious of those who travel light, bringing only their carry-on bag and care-free selves, with no need to retrieve baggage (and risk losing it completely) or pay pesky checked baggage fees. Of course, the only downside to not having checked baggage is missing some of the luxuries of home and maybe, embarrassingly lifting your maxed-out carry-on into the overhead bin and elbowing the person in front of you. I’m not taking about meds. I mean things like eye masks, ear plugs, and comfy pillows to help you sleep on a plane. Eye masks help you fall asleep when you’re supposed to (i.e. at night in your new time zone) and fight jet lag. It’s recommended to start adjusting to the new time zone as soon as possible. If it’s light out and the windows are up, but it’s nighttime in your new destination, reach for that eye mask and get some shut-eye. Ear plugs are useful if you have a chatty Cathy beside you or if you want to drown out the hums of the plane, but earphones can also do the trick to play white noise or relaxing melodies. You can also pre-load movies onto your devices to pass the time. Sometimes the airlines provide these items, but sometimes they don’t. And if they don’t, you’ll be glad you brought your own – and luckily, these items barely take up space in your carry on. In my experience, planes are more often too cold than too warm. 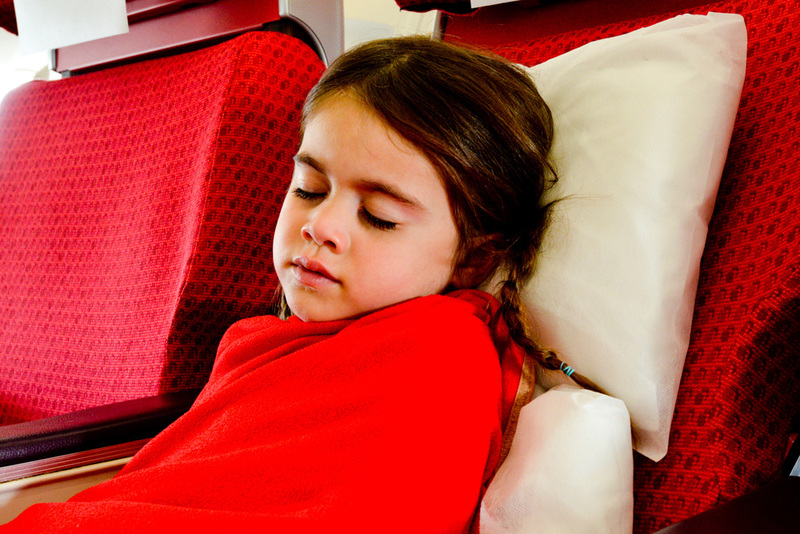 On long-haul flights, the airline sometimes provides blankets. Otherwise, oversized scarves can be lighter to pack than a sweater, but warm enough to function as a blanket and a fashion accessory when you arrive. I’d also bring socks and comfy shoes. There’s much debate about feet-etiquette on a plane. Assuming they don’t smell, I’m all for ditching the shoes and getting cozy with just socks (I didn’t say I’d walk to the bathroom barefoot.) Others say, just bring comfy shoes and keep them on! If you’re on the pro-shoe side of the debate, you are most likely also a fan of antibacterial wipes and hand sanitizers. And even if you’re not, I’d suggest investing in a germ-removing product to keep your plane ride a little bit cleaner – you don’t want sickness to ruin your long-awaited travel plans. Wipes are useful to get rid of germs on your meal tray, touch screen, and window ledge. Hand-sanitizer is a good idea too, just remember to follow the carry-on restrictions for liquids and gels. A travel documents folder is helpful to keep you organized. Most important item: a photocopy of your passport (you’ll need your real passport of course). Don’t lose your passport — but if you do, having a photocopy will make your life much easier. Your folder can also carry your boarding pass, hotel confirmation, itinerary, train and bus passes, and any extra currency that doesn’t fit in your wallet. Another great idea? 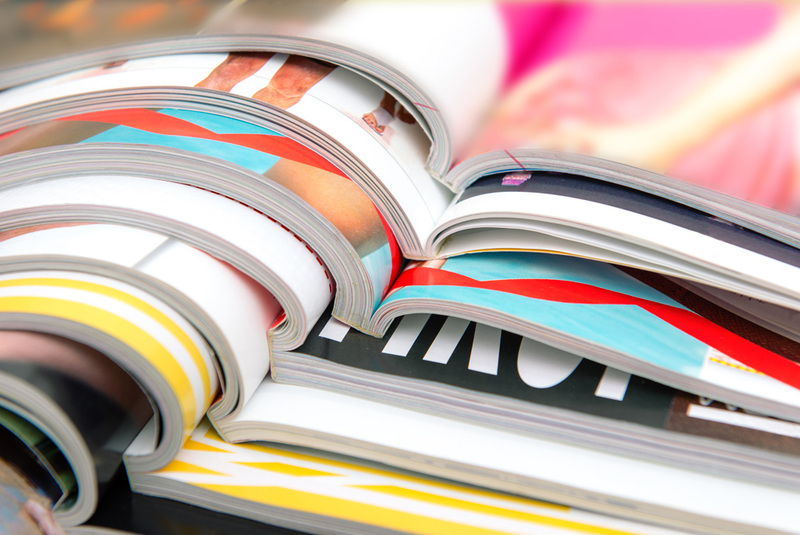 A magazine or book. Yes, the real thing, not the digital kind. When the battery on your phone or e-reader dies, you’ll be glad you brought some literature. On the topic of the printed word, remember to bring a pen with you to fill out customs forms and other paperwork. There’s always someone in my row who asks to borrow a pen: don’t be that person. It’s a way to spread germs (cue hand sanitizer ) and you never know if you’ll find a Sudoku or crossword puzzle in your presence. As much as I’m voting for pens and books, I realize it’s also 2016. Remember to bring your chargers to use your devices at the airport and on the plane. 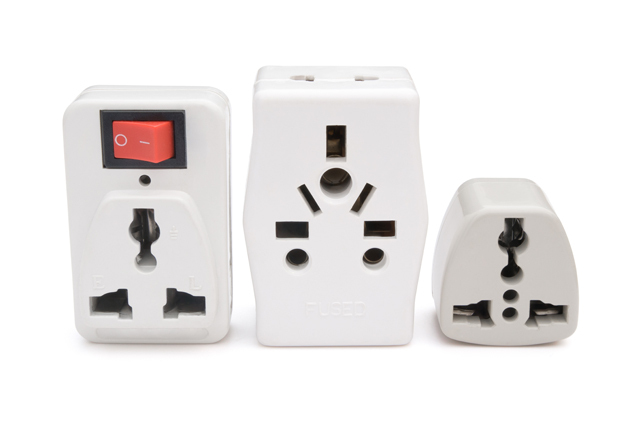 If you’re going somewhere that requires an electrical converter or adapter, remember to keep this with you in your carry-on. It’s no use to you if your phone dies and you can’t charge your phone during your European stopover because you’ve left your charger or converter in your checked luggage. Some planes have charging stations by the seats as well. Bringing an extra charged battery is also an option. What tops the list of what to pack in your carry-on? Pain reliever for headaches and any prescription medications you require (in their original packages) are important. Keep your body hydrated with hand lotions, lip balm, and a refillable water bottle. You also may want to bring a travel size toothpaste and toothbrush to sneak in the washroom when you land, or to use in case your luggage is lost or delayed. You may even want a refresher on long flights; your neighbour will thank you. Plastic bags also come in handy, for storing your 100ml liquids, snacks, or any other odds and ends you may end up needing.